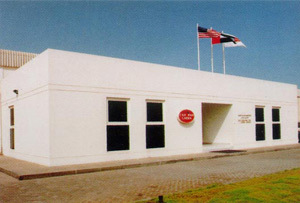 In 1989 we built the most modern bean processing facility in the Middle East. Only the finest selection of bean crops, and best quality spices are used to produce our famous bean delicacies which are exported to more than twenty countries around the world. Our licensee in the Middle East is Gulf Food Industries – California Garden, a joint venture partnership between California Garden Products, Inc. and Kuwait Food Company. We process and can over 32 different types of bean products at this facility which is HACCP and ISO certified. Our most popular bean is Fava. We pack fava beans in many sauces to fit the local taste in the Middle East. We also manufacture our own cans with white lacquer to give the best flavor and keep the cans rust free. We give the same consideration to our other fine products. Today we offer over two hundred products processed in over twenty countries around the world. We work closely with factories across the world to ensure they meet our high quality standards.